In Northern California, rice growers typically prepare to start harvesting in mid-September, but some growers have endured a lot of weed pressure from weedy rice (Oryza), also known as red rice, according to Whitney Brim-DeForest, a UC Cooperative Extension Rice Farm Advisor in Sutter, Yuba, Placer, and Sacramento Counties who focuses particularly on weeds. Red rice is actually the same species as cultivated rice, but it produces far fewer grains per plant and is therefore considered a pest. How weedy rice reached California is apparently a mystery. “We don’t really know the source of it, to be honest,” said Brim-DeForest. “We’re investigating that through research, hopefully starting this fall,” she said. Brim-DeForest said growers have few choices to control weedy rice. “Growers that have it will either have to rogue¹ it out, pull it out by hand or sacrifice that field and spray it with Roundup,” she said, “which would kill the rice as well. And, if the rice grower doesn’t know he has weedy rice in the field, it could hurt him later at the rice mill,” explained Brim-DeForest. “Once harvested, the rice goes to the mill. If a certain amount of red rice bran (the outer layer surrounding the rice grain) is discovered, the mill will not accept it and could reject the entire load,” she said. A 2005 Ford F150 was stolen in the South Sutter Basin near Ensley Road, sometime between Friday evening, April 4 and Saturday morning, April 5. The truck is charcoal in color, with license plate number 8A25808. Anyone with information is asked to call the Sutter County Sheriff’s Department at (530) 822-7307, or the California Highway Patrol at 1-800-TELL-CHP (1-800-835-5247). 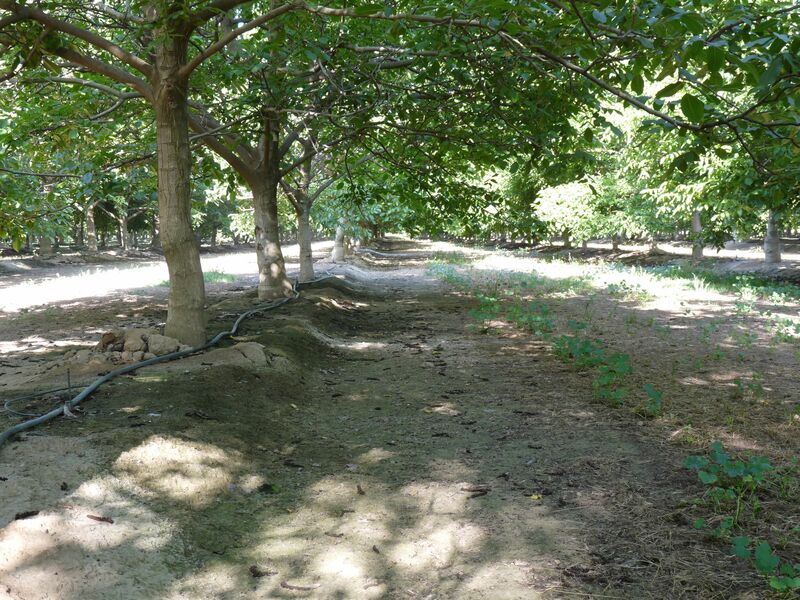 AG CRIME ALERT!Tisdale Irrigation has been hit by copper thieves twice in the last 30 days at two pumps along the Sacramento River south of Meridian. Damage was also caused to the pump motors and it is believed the same party is responsible for both instances. Growers in the area should check their pumps, be on the lookout for suspicious activity and report any information to the Sutter County Sheriff’s Department at (530) 822-7307.